Beard conditioners are some of the best hygiene products men can buy. Too many men avoid taking good care of their beards because they don’t spend enough time in the bathroom or they think that they’re beard is some self-sustaining thing that doesn’t need attention to look its best. This is unfortunate; a well-kept beard can improve your look and presence in any room or situation. Getting a good beard conditioner can improve the look of your beard tenfold. We’ve checked out all of the relevant research so you don’t have to and put together this guide to bring you the best options on the market. We’ll go over what exactly makes up a good beard conditioner and provide you with some great examples, including our favorite conditioner picks. Cheap, light, versatile, soothes skin sensitive to irritation and very affordable and controls frizz. 2-in-1 for washing and conditioning. Very premium ingredients, high-quality and effective, only need to use sparingly in small amounts. Let’s begin by going over a quick rundown of all the best beard conditioners. Let’s go over an overview of the key factors to keep in mind when shopping for beard conditioners. Not all conditioners are alike, and they vary by manufacturer and formula quite a bit. Therefore, the type of conditioner you buy can have drastic effects on your beard. Amount: Many beard conditioners come in bottles like a lot of other cleaning products. However, you’ll find that many more premium conditioners come in small tins that only offer a few ounces of material for you to use. While this is economical on the part of the manufacturer, it’s also often a clue as to how much conditioner you should be applying at one time. Consider the dollar to ounce ration when selecting your ideal conditioner. You might find that you can get a better deal by buying a particular conditioner that comes in a larger container. However, if you do purchase one of the smaller tins, it’s always a good idea to read the instructions and find out how much the manufacturer recommends that you use per application. Overusing conditioner can have negative effects on your beard or simply waste more of the material. 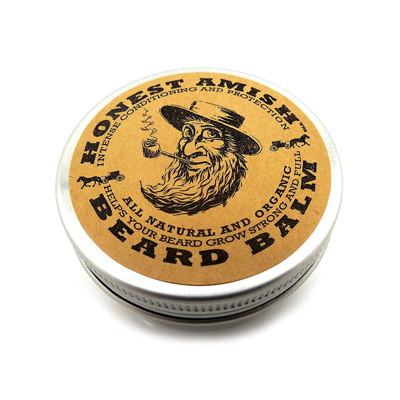 Ingredients: Most good beard conditioners are made from organic oils and butters. These are compounds that aren’t like their cooking analogs but are defined instead by their feel or look. Either way, oils and butters will help make your beard hairs softer to the touch and appear more vibrant and colorful. Some ingredients are combined with vitamins or synthetic compounds to add effects or possible uses to the conditioner. Effects: Many conditioners do other things besides soften your beard hair. Many of the ones we think are the best on the market have additional passive benefits, such as reducing dandruff from the skin beneath your facial hair, improving beard growth, or reducing skin irritating if you have dry skin. If you have skin or conditions that require some extra work, take a few moments and see if any conditioners have the extra features that might take care of those issues for you. Combination with Washes: Finally, if you have a particular beard wash or shampoo that you’re dead set on using, make sure that whatever conditioner you are eyeing is applicable with that wash. There are occasional pairings that are exclusive due to ingredient mixes, although most conditioners are mixable with all kinds of washes. This is a rare consideration, but definitely something to keep in mind if you have particular products already. This is a fantastic, premium-quality beard conditioner that’s nonetheless quite affordable. It’s made from organic oils and ingredients which you can find in the wild or in gardens; the Honest Amish conditioner doesn’t use synthetic chemicals made in factories or labs. In fact, it’s entirely hand made and pressed in the USA, so right off the bat, there’s a level of quality in the product we really love. 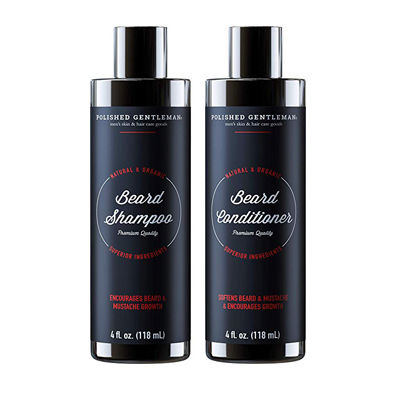 The conditioner has a few passive benefits in addition to the standard enhancements to your beard, making it softer and more comfortable to touch. 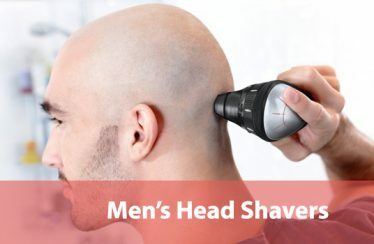 It also eliminates dandruff that can arise from dry skin and which is often left untreated beneath a beard because most men don’t notice it as easily as dandruff atop their head. Furthermore, dandruff can make your face itchy; this balm has oil that reduces itchiness and inflammation. This added value really puts the small tin in a great light. It’s a small container, which is the only downside since we can imagine that everyone who buys it will want to use it often. 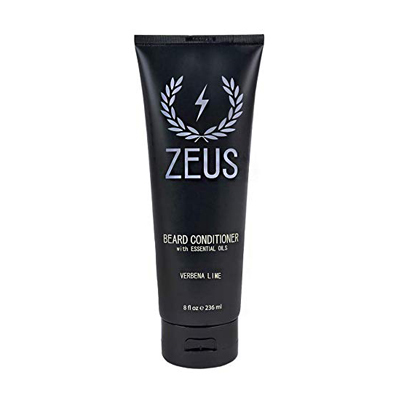 Overall, this is a great all-around beard conditioner that isn’t set for one particular style or type and which provides a bunch of extra benefits in addition to making your beard super-soft. If you’re not sure which to get and want a portable conditioner to fit into your car or bag, this is a great place to start. Here we have the first of the sets we’ll look at on our list. This is a great shampoo/conditioner combo that’s ideal if you’re a man that needs to get a bunch of things for his bathroom hygiene kit. The plus of this model is that you know that the shampoo is also made with organic materials like the conditioner. Your head hair will be taken care of just as well as your facial. The conditioner is made with a wide selection of organic oils and butters that are listed on the bottles, which are decently-sized. These oils will also endow your beard with some pleasant scents that are sure to be pleasant both for you and anyone standing nearby. The conditioner is really good at softening and straightening beards, even if they’re longer than average. The shampoo is actually a really good example of men’s hair washes even though it comes in this combo pack. Alone, it would be a great product worthy of your consideration since it’s so good at scrubbing out dirt and enhancing the feel and look of your head hair. Since it’s paired with the conditioner, it’s value is even greater. The tradeoff for all of this value is that it’s a bit pricey for just conditioner, so we really only recommend this set if you’ll actually use the shampoo that comes along with it. Both bottles are small-sized although they contain good amounts of their respective liquids, so this would make a great start to a smaller, travel-sized hygiene kit as well. If value is on your mind, this combo is one of the best you’ll find. This is another great combo if you’ve got an eye for value. 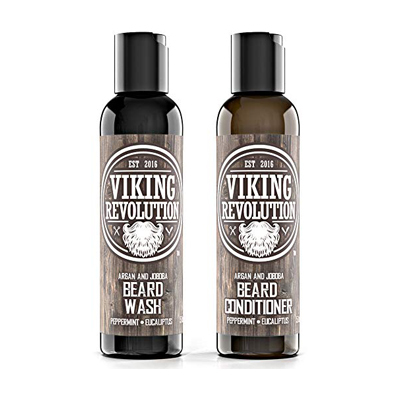 It comes with a beard wash and conditioner instead of shampoo, so this is a good set if you have a large beard that needs to be thoroughly cleaned each and every day. The beard wash cleans deeply and helps remove dandruff and itchiness; these are especially bad if you do have a large beard since the skin of your face is harder to clean with more hair in the way. The conditioner is also really great. It’s made from natural ingredients and has a hydrating effect on your facial hair. This both increases your beard’s overall lifespan but also improves the softening attributes that most men use conditioner for. The moisturizing effect is strong and noticeable right away and you’ll find that when you comb your beard before and after it’s much easier to lengthen the individual strands without getting tangles. Both the wash and the conditioner have a strong scent of peppermint and eucalyptus. In fact, it’s so strong that if these scents aren’t really what you’re going for you’ll want to move on; you won’t be able to easily mask them with cologne or deodorant. However, since most people find peppermint fine, this is hardly a real flaw and is more of a quibble. Altogether, this is a great set with each bottle having plenty of liquid inside, so you won’t need to buy more anytime soon. It’s also quite affordable for all the beard care it brings. We recommend this set if you have a really long, thick beard. The Bossman conditioner brings an interesting twist on the traditional conditioner formula. While this conditioner softens and makes your beard smell nice, as do all conditioners, this one also has ingredients active within it to make your beard grow stronger and faster. This can be particularly useful if you have a short beard at the moment and want to grow it out into something more substantial. This is a great pick if that’s the case, and the Bossman conditioner will ensure that the beard which comes in looks healthy and full. The pores of your skin are targeted by the oils inside the formula, which improve each hair follicle’s health. The scents are numerous and pleasant, without any of them overwhelming the others. In addition, this formula is relatively easy to spread through a beard; some conditioners are a bit thick and clumpy, but this one avoids the issue. It’s not too thin to be a bother, either. The bottle is a bit small for the price since you only get 4 ounces of conditioner, but its overall quality still makes it a worthwhile purchase for many men, in our opinion. When it comes to growing a beard that looks healthy and firm, this is one of the best products you can buy. This isn’t a beard wash per se, but instead, it’s primarily a conditioner that has some elements found in washes that are mixed into its formula. The result is a versatile, well-made product that smells like a kind of lime. This lime scent is rather forward and if it doesn’t suit your look or feel, it’ll be an unfortunate limitation. However, for most of us, lime scents are great! The conditioner is made with natural oils and vitamins together. The conditioner works with your beard hairs to make your beard softer and looking healthier than before, but the vitamins than dig deeper into your pores to create healthier hair as time passes. In addition, the vitamins will have positive effects on your skin, moisturizing your face as well as the hair itself. It feels great to implement and leaves your face feeling refreshed and washed. We recommend combining this with a washcloth for maximum effect. There’s quite a generous amount of conditioner in the bottle for the price, too, so this is another great value pick if you’re trying to get some good bang for your buck. Your skin will end up feeling less itchy pretty soon after applying the conditioner, so this is a great choice if you have naturally dry skin or find that skin irritation is a problem that you commonly face. This small bottle is super-affordable for anyone who wants a great conditioner to improve the quality of their beard. The bottle’s small size does mean that you’ll run out sooner rather than later, but on the flip side, you can easily treat this conditioner as a travel pick for keeping in a suitcase or with a portable hygiene kit. The conditioner is very effective and is mixed with a moisturizing component that proves some comfort to your face as well. 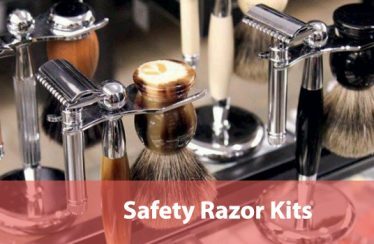 Your beard will be left soft and smooth while your skin will be calmed, and any irritation or dryness will be eliminated. This has side-effects such as the reduction of dandruff. Frizzy hair is kept under control with the particular combination of ingredients the conditioner uses. 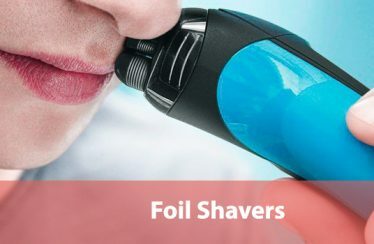 This can be helpful if you have naturally-frizzy beard hair and want to pursue a look that requires a conditioner with a bit of force to its effects. Altogether, we recommend this conditioner if you’re looking for something that can work within any budget but that still provides some good quality. This is a great cheap buy for immediate results. This is practically the opposite of the Clubman conditioner. Professor Fuzzworthy’s conditioner is instead a premium product that comes in a very small tin; this is somewhat unfortunate considering its tall asking price. However, the quality you get in exchange is more than worth it in our eyes, and you’ll find that you only need to use a small amount of the conditioner at any one time. With proper planning, you’ll be able to make this small tin last for months or even a year. It’s all made by hand and with oils and ingredients from the rainforests of Tasmania. 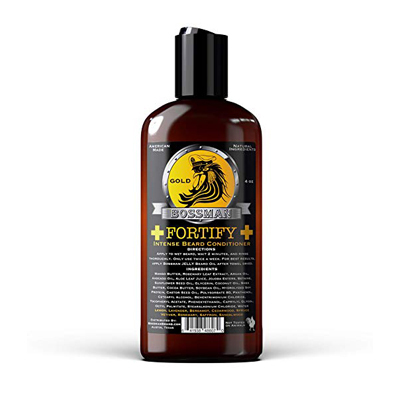 This provides the conditioner with necessary oils for its effective formula, which moisturizes and softens the hairs of your beards. The moisturizing component is so effective, in fact, that it’s a great pick if you have extremely dry skin or suffer from excessive amounts of dandruff. 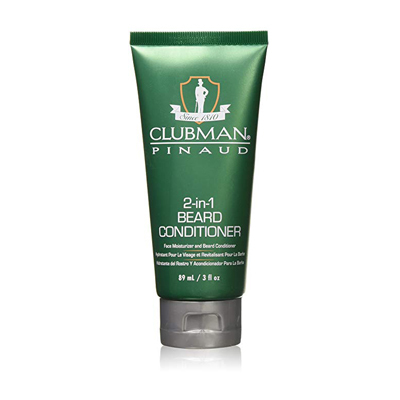 The conditioner feels great to apply and can help both your beard and the skin on your face. If you’re in the market for quality above everything else, we recommend that you look at this conditioner above the others. While you do have to pay a bit more for its benefits, you’ll find it’s worth every penny. 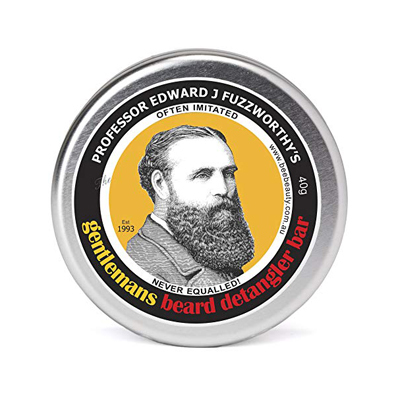 So you’ve got a great bottle or tin of beard conditioner and want to put to work. Not so fast! Let us give some quick pointers about how best to use your new conditioner and achieve the best possible results. Clean Your Beard: One of the best things you can do to promote good beard care, in general, is by thoroughly cleaning it every day. This applies to conditioners, too; they work the best when your beard isn’t full of dead skin or dirt from the day before. By cleaning your beard well, you’ll ensure that most of the oils and butters affect your hair or facial skin alone. In addition, scrubbing your face every day can help reduce dandruff just like many of the conditioners on our list. This will improve the overall effect the conditioner can have on your beard as well as the actual oils themselves. Trim Your Beard: Keeping your manly mane in good shape is a must. 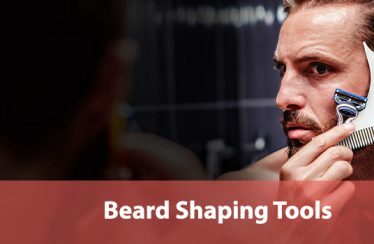 This will improve your overall look and attractiveness, but it’ll also help keep your beard at an even, maintainable level that conditioners or washes can work well with. A tangled beard isn’t going to be easy to clean or make soft, even for the best conditioner. You should make sure to trim and cut your beard regularly so that it’s at the ideal length for your target look. You should also use a comb and straighten it out before you apply conditioner so that no knots are present that can keep oils from fully penetrating your beard. Follow Instructions: Each conditioner will have specific instructions regarding the amount of conditioner to apply and how to best perform the task. Please, read those instructions and don’t go by your gut. Every conditioner has a different thickness and different ingredients, and these definitely affect how it should be applied. Store Conditioner in Cool, Dry Place: Finally, when you’re not using your conditioner it’s a good idea to place it somewhere that’s cool and dry. This will help it keep its integrity over long periods of time and will prevent any of the organic materials that may be inside from breaking down. Keep conditioners out of cars that sit in the hot sun, for example. Hopefully, our guide has given you the best tools to find the perfect conditioner for your beard. Our picks are some of the best on the market, so we hope that at least one of them is ideal for your particular needs. Soon enough, you’ll have a beard that will be the envy of men everywhere; take care of it!